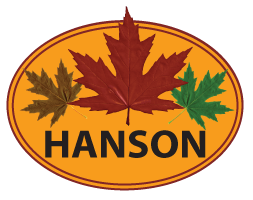 Here at Hanson Landscape, we are continually striving to go above and beyond customer expectations. Our customers are the most important feature of our business and we do not take this for granted. Due to the fact that we are always trying to improve, we came across an article from the NAAHQ written by Mary Gwyn that provided some steps that we will begin to follow to improve our services and enhance customer’s curb appeal even further. These are just a few things that we are continually improving at Hanson Landscape when doing things such as landscape maintenance for customers. We want our everybody to judge the “curb by its cover” and let us know if we can do more to make each and every property look better. It is our mission to keep every customer completely satisfied with their entire landscaping scheme and as a company we will continue to improve customer service to make this happen. Give us a call today if you feel we can improve in any way!